Thanks Wrenchin Monkey, Nix, Spun, Forces, SmarOneNine, Hazzard, And anyone else has contributed to this project. I'm using the custom models from Nix and Wrenchin Monkey with permission. 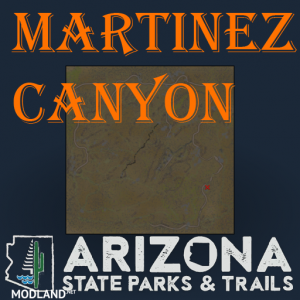 This map is based off of the real life location of Martinez Canyon, in Arizona. This map uses Real Life heightmaps from the U.S. government. This map map has inspiration from an old desert themed map from rigs of rods. 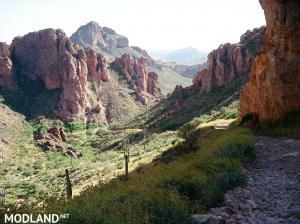 This map has lots of trails, but along those trails there are some rock crawling sections. 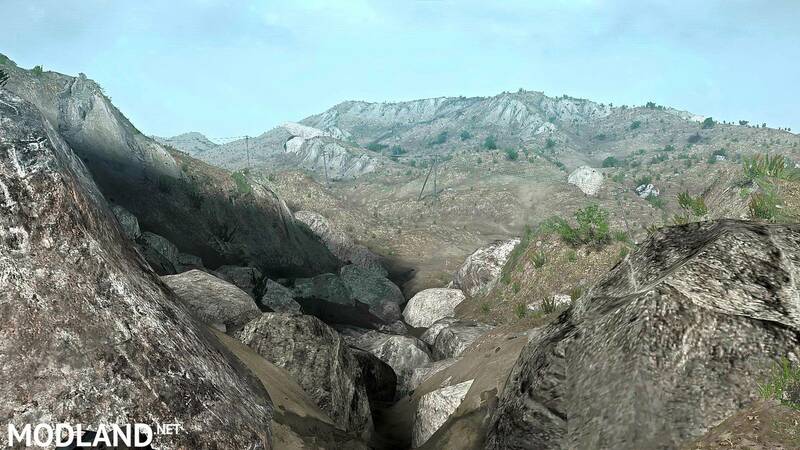 The rock crawling on this map has easy parts and even some impassible spots. I highly recommend that you use a full bodied vehicle and not a buggy at first to get the most out of this map.